ASUS today announced XG Station Pro, an external graphics card enclosure with a stylish aluminum chassis and advanced cooling that provides PC and Mac laptop users with high-end graphics performance, suitable for demanding professional applications, such as video rendering, 3D design and scientific modeling. With support for the latest NVIDIA and AMD graphics cards and featuring fast and convenient Thunderbolt 3 connectivity, XG Station Pro enables a workstation-class experience when connected to a laptop and an external monitor without sacrificing mobility. Designed in collaboration with In Win – the well-known maker of premium computer chassis – XG Station Pro has a highly functional and stylish design with an elegant, grey aluminum chassis that perfectly complements premium laptops. XG Station Pro fits a full-length, 2.5-slot graphics card, yet has a compact size that takes up minimal space on a desk or workspace. An external, 330W power supply drives even the most demanding graphics cards, reduces heat within the chassis, and enables XG Station Pro to have a smaller overall size. XG Station Pro features easily removable top and side panels to make graphics card installation quick and effortless. Additional design details include kink-resistant braided cabling, integrated cable management, removable dust filters, a dark PCB color and onboard RGB LEDs that are compatible with ASUS Aura Sync. XG Station Pro is designed with multiple cooling technologies to ensure optimum and reliable performance. A best-in-class ventilation system featuring dual 120mm In Win fans, ample space within the chassis for air to move, and large exhaust vents on both sides of XG Station Pro delivers efficient cooling performance. Removable dust filters cover the vents to keep the inside of XG Station Pro clean and ensure reliable graphics card operation. The exhaust fans both feature 0dB technology, so they only turn on when internal temperatures rise above a designated threshold, ensuring completely silent operation during less-demanding workloads. The aluminum design of the chassis also serves to quickly dissipate heat. 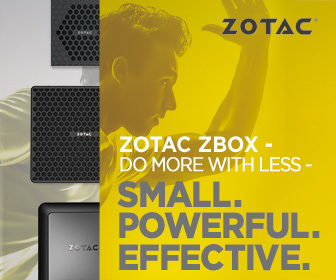 XG Station Pro is equipped with a Thunderbolt 3 port that provides massive bandwidth of 40Gbps – 8X faster than USB 3.0 – to ensure smooth performance and easy connectivity with current PC and Mac notebooks. A 1.5m active Thunderbolt 3 cable is included, so users can connect and use XG Station Pro right away. XG Station Pro is compatible with the latest graphics cards, including NVIDIA GeForce GTX 10 Series and AMD Radeon RX Vega, enabling users to enjoy cutting-edge desktop graphics performance. ASUS XG Station Pro will be available for $329 (US MSRP) in North America starting in Q1 2018. ASUS product availability varies by country and territory. Please contact your local ASUS representative or visit us at Edge Up ASUS or ASUS North America for additional information.